Even with the worst hand in the world, you can rake in a pot that you had no chance of winning—if you know how to bluff. Anyone who has played more than one hand of poker knows the importance of bluffing. Fortunately or unfortunately (depending on which side of the bluff you are on), most poker players are not very good at it. The act of bluffing is an art that takes time to learn and years of practice to perfect. Though, there are tips and tricks that can help you master the craft, you will find that timing is everything. And, depending on where and with whom you are playing, your bluff will need to be adjusted accordingly. Bluffing is easy when you’re playing a game of poker with your buddies. Chances are, you’ve played together before and know each other’s playing style. You probably even recognize each other’s tells. For example, I know that my friend John always fidgets when he tries to bluff. He really fidgets. If I look over and see him wriggling in his seat like his pants are on fire, I know my two pair can probably beat him. Casino bluffing is similar. You may or may not be playing with buddies, but you can learn to recognize tells. Plus, eyes don’t lie. Why do you think so many players try the old sunglasses trick? They want to avoid being read. With online bluffing, all of the rules change. You can’t watch your opponents’ expressions, eyes, or body language. It really doesn’t matter if you’re bluffing or being bluffed, you need to be sharp and pay attention if you want to succeed. The Slow-Poke– If you’re opponent is really slow to make a call, they either have a good hand or they are going out of their way to make you think they do. Use your hand and your gut instinct to determine which one it is. Then, make note of the player’s name and the result. If you didn’t guess right the first time, you will next time. Instant Checkers– When you see someone checking quickly, they have a weak hand. Push it and take the pot. Chatty Cathy– Some players love to use the chat box. If you see these players lay off the box and sink into silence, become suspicious. It’s human nature to stiffen up and become silent when bluffing. If you find yourself in this situation, use the chat box to your advantage and find out what that player’s thinking. Trash Talkers– Only the boldest bluffers talk trash when they’re trying to bluff. 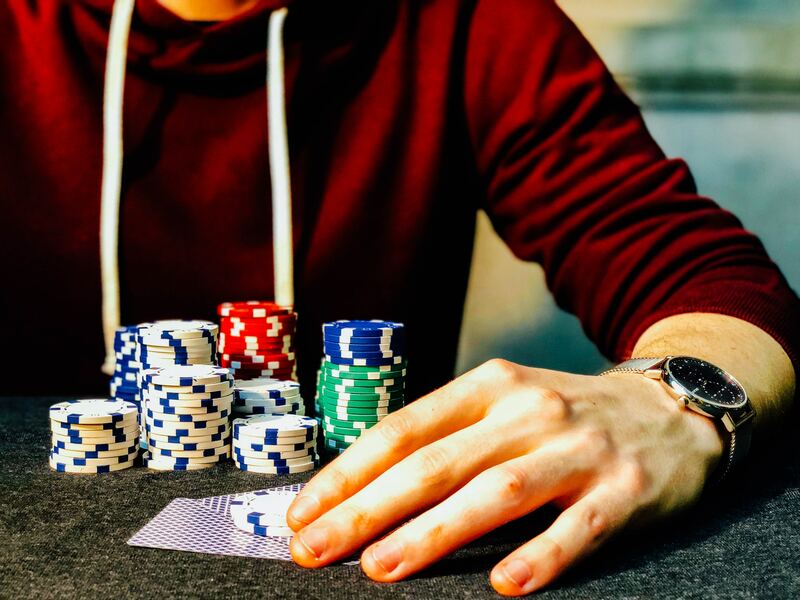 If you have a player that can’t help bragging about their hand, consider folding. They’re probably not bluffing. Table Limits- Bluffing works best in high-stakes or no limit games. Try it anywhere else and you’ll just be wasting your time. Position- Try to avoid bluffing in an early position. It’s always better to bluff from a late position. By then half or more of the players have already checked, called, or folded. Number of Players- When bluffing, the goal is to get everyone to fold. Don’t try to bluff the whole table. The more people you are trying to bluff, the harder it will be. Hold out until most of the table has folded. Who are You Bluffing- When possible, bluff the short stacks. These players don’t have very many chips and they are scared to lose what they do have. Short stacks are more likely to fold than the players who are drowning in chips. Gain as much experience as you can before you try to master bluffing. 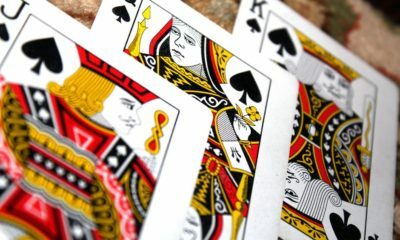 Though bluffing is an important part of poker, it’s more important that you know the game well first. Always concentrate when playing. If your head is not in the game, other players will notice and take advantage. Choose the right table and the right game. 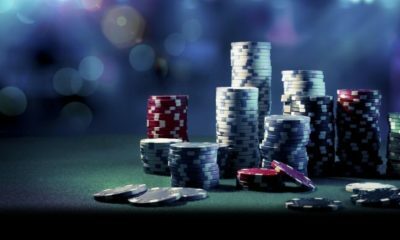 Free poker or low-stakes games are not a great place to practice. When money’s not a factor, players are more likely to call and less likely to fold. They won’t care if you’re bluffing or not. Try to play with the same players. 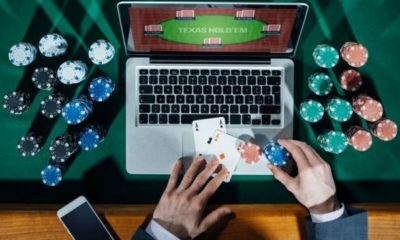 Many online poker players have favorite sites, games, and tables. Consistently playing with the same players will help you hone your craft and teach you how to recognize online tells. Don’t try to bluff every time you get a bad hand. Remember, bluffing is all about timing. Choose your battles wisely. Evaluate other players and their probable hands before bringing out the bluff. Make yourself hard to read. Shake things up and avoid your normal patterns. If you are playing with the same players consistently, they will learn to recognize your tells too. 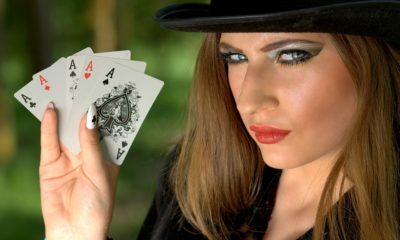 Visit poker forums and talk to other players about bluffing. Find out what their techniques are and try integrating some of them into your own style of playing.